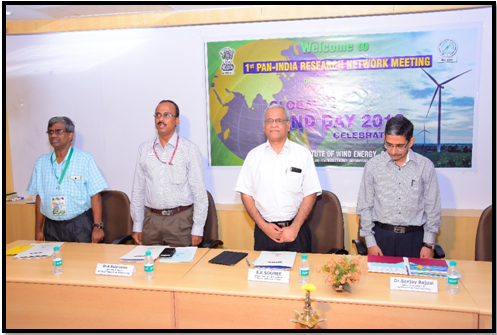 Pan India Research Network - "Industry and Academia Amalgamation"
Global Wind Day celebrations of National Institute of Wind Energy (NIWE), Chennai marked a new beginning with one-day workshop of “Pan India Research Network Meeting- Industry and Academia Amalgamation”. This workshop is the start of a planned series of interactions between the Indian Academia and Wind power industry to create a conducive ecosystem to facilitate their amalgamation. Deliberations and brainstorming on the Research & Development needs of the Indian wind energy sector would help identify the way-forward for the indigenous research activities that would facilitate the Indian wind industry march to become the global leader in all the facets of the wind energy technology. This event was convened with an express intention to create a hub of synergy that would lead to Industry identified research requirements being taken up for research of national importance through a consortia of Academia, with support from MNRE through NIWE. This meet also provided an avenue for the Academics to showcase their areas of strengths in research. The Workshop was inaugurated by Shri. S.K. Soonee, Chairman, R&D Council of NIWE & Adviser, Former CEO of POSOCO; Dr. Sanjay Bajpai, Adviser, DST, G.O.I; Dr.K.Balaraman, Director General, NIWE and Dr. S. Gomathinayagam, Industry Expert & Former DG, NIWE by lighting the traditional lamp, in full attendance from the Industry, IWTMA, IWPA, WIPPA and Academia from IIT, IISc, NIT & other premier Institutions and universities of India . The first workshop turned out to be grand success, as stated by the Industry & Academia attendees, since it provided the invaluable platform for dialogue and open exchange of views and experiences between the target groups. The workshop gave a comprehensive overview of the technical, financial and policy solutions presently available in India and brainstormed for finding solutions to meet the R&D needs of the industry. The workshop focused on some of the major issues that concerns the India wind power industry and its immediate requirements for oriented R&D from academia for Technology Readiness Level (TRL). The aim of bringing together all Indian Stakeholders under one roof for a day to have fruitful discussions was a success, the workshop deliberations stand as testimony to that. 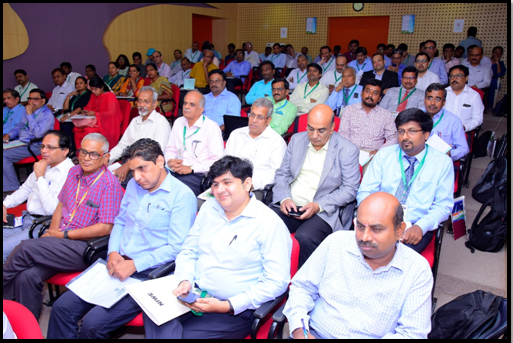 The workshop saw attendance in good numbers (more than 100 participants in total) from India Wind power sector, academia, research institutions and Indian wind power associations.  Industry professionals from M/s. Vestas, M/s. Suzlon, M/s. Siemens-Gamesa, M/s. RRB Energy, M/s. ReGen powertech, M/s. Leitwind Shriram, M/s. Siva Wind Turbine, M/s. Renew Power, M/s. Mytrah Energy, M/s. Enerfra Projects (India), M/s. Siemens (Winergy) etc. attended the workshop and highlighted their R&D needs. Also, the representatives from the major India wind power sector associations namely IWTMA, IWPA and WIPPA also attended the workshop and shared their valuable inputs to the forum. From the academia, Professors/ Researchers from premium institutions such as India Institute of Science, IITs, NITs, NAL (National Aeronautical Laboratory, Bangalore) and other premier Institutions & Universities spread across the Country attended the workshop and the deliberations turned up to be very lively. The workshop saw a lot of erudite discussion between the industry professionals and the academic/ research institutions. The brief presentation given by the industry representatives and Academic researcher and professors provided the platform for the discussion. Most of the industry representatives were surprised with the amount of relevant research being carried out by various institutions. The Indian wind industry representatives and the academia have placed on record their support to be part of this new initiative taken by NIWE, Chennai and assured their continuous participation to make this endeavour of NIWE a fruitful exercise for the Country and its Make in India Movement. The detailed deliberations, presentations made and research focus areas would be updated in NIWE website niwe.res.in .